Bubba the Pirate: Grunting at the Rock. There is always something else to work on. The boat project continues; lately more Sisyphean than Herculean. 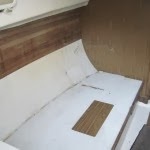 On unseasonably sunny days, I've finished the fiberglass work at the gunwale. 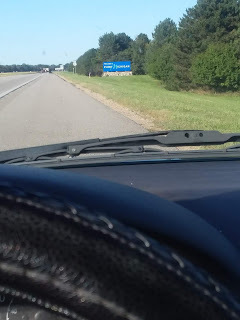 When its been cooler and wetter, I moved to the interior. The pilot berth on the port side of the main cabin has been removed. hand. Moreover, the pilot was not a guest who needed to be catered to or impressed. Hence, the pilot berth was usually tucked in an unused space somewhere near the bridge of a ship. Somehow, this tradition spilled over into pleasure craft. 15" or 20", to create a shelf in place of the bunk with storage underneath. 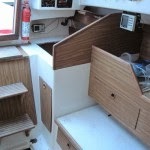 The port side settee will be more comfortable this way as well. There is just never enough time to spend working on the boat, but I've also been working on my life, and career too. 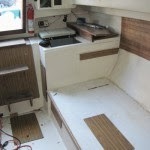 Nearly everything I've done in 2011 was a concerted effort to maximize my time working on the boat in 2012 and 2013. Poking around after Sisyphus came to mind, I found a short movie that I remember fondly. Dad's career running REMC's at the intermediate school district level in Michigan afforded me the privilege of seeing lots of interesting and creative filmwork. When I was in school, Dad's office supplied the films and filmstrips we watched in class. Later REMC's like his supplied video tapes and then computers along with other educational equipment and programs. Back in the day, Dad would often bring home a projector and some interesting film. I can't recall if I saw this Sisyphus short through Dad or whether I had spotted it because I had developed a taste for short films through him. 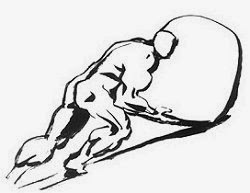 Click here to watch the very cool short "Sisyphus" by Marcell Jankovics, a Hungarian graphic artist and animator, who was nominated for an Oscar in 1974 for this very film. Its not unsafe for work, but if your volume is too load, the soundtrack will make your office mates wonder what you're watching. The Sisyphus image is a screen cap from the Jankovics film that I lifted without any permission from the "I Took the Liberty of Reading Your Mind" blog. 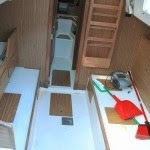 The other images are before and after shots of my boat's interior taken by either me or my father.